With these 6 hair hacks you’ll be able to go longer between washes, keep your hair healthier, make your blowout last longer, and be styled in seconds! Sponsored by Sephora inside JCPenney. Because my hair is long and thick, it takes forever to dry! According to one study, the average woman spends about 23 minutes a day styling/drying her hair, so I know I’m not alone! But what if you could spend less time in front of the mirror and go longer without washing your hair? Many hair experts and dermatologists say that less washing = healthier hair, and it makes sense because you’re reducing the chance for damage through processing, brushing, etc. I picked her brain to see if she had any special tips that would help me extend the life of my hair too. If you follow these simple steps, you too can make your blowout last longer — whether you get your hair styled in a salon or DIY at home. With these 6 tricks you can go up to a week or more without washing and drying your hair, and no one will be the wiser! Avoid adding extra styling products right after your blowout, as these can weigh down your hair. Wait at least a day or two if possible. If you’re like me, it’s so tempting to run your hands through your gorgeous styled locks! However, every time you touch your hair, you leave behind traces of oil, dirt, and other things that cause build-up. When you go to bed at night, pull back your hair in a loose ponytail or bun. This helps protect your hair from damage while tossing and turning. 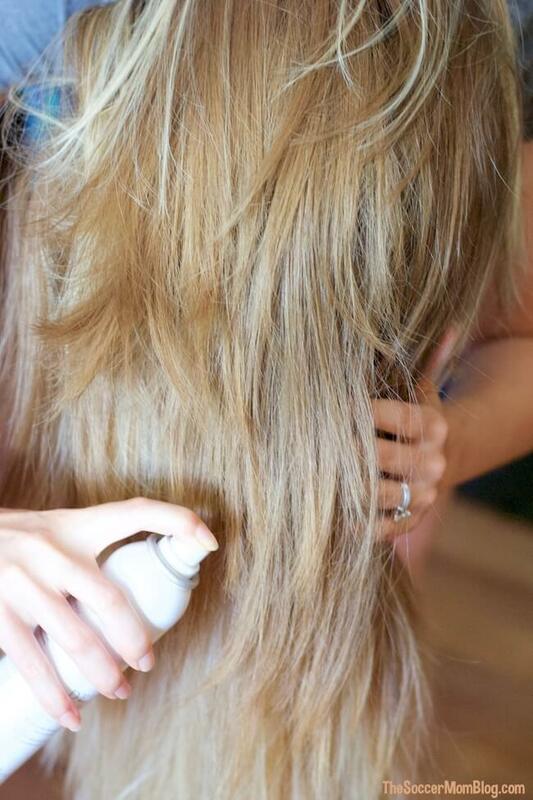 Any time your ‘do needs a quick refresh, grab a dry conditioner spray like Dry Bar Detox Dry Conditioner. To use, spray DryBar Detox Dry Conditioner back and forth across hair, a few inches away from head, concentrating on ends. I start by flipping my hair upside down to spray the bulk of my hair, then I finish with a light spray over the top of my hair. 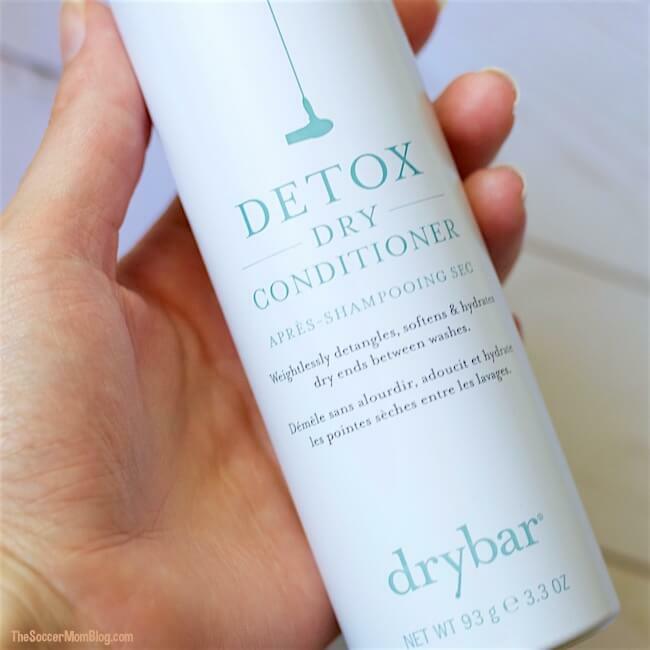 It only takes a few seconds — DryBar Detox Dry Conditioner gives your hairstyle new life! Believe it or not, you don’t have to go to a fancy salon to find this product! DryBar Detox Dry Conditioner is available at Sephora inside JCPenney — it’s like a store within a store, so you can pick up your favorite fashion, hair, and beauty products all in one place! In case you didn’t know, I’m already a huge fan of JCPenney (they have the best sales), and this is just one of the reasons why! I’d never discourage anyone from exercising on account of your hair, but if you break a sweat, make sure you have a bottle of dry shampoo handy. Slightly different than dry conditioner, dry shampoo helps neutralize build-up and carry it away from the scalp. Allow hair to dry completely first, then flip hair over and spray for a few seconds. Use fingers to gently work dry shampoo into roots and scalp. Sephora inside JCPenney has dry shampoo options for all hair types and their beauty experts are there to help you choose the right one. This is another way that I keep my hair fresh when I exercise. Cotton headbands wick moisture away from your scalp and roots, helping to prevent sweat from setting in and ruining your style. I always keep a headband in my purse or gym bag! The Sephora team is amazing and always ready to answer your hair and beauty questions and even demo some of their fav products. Visit your local Sephora inside JCPenney — it’s #soworthit!